It wasn’t immediately clear what prompted the the morning shooting. 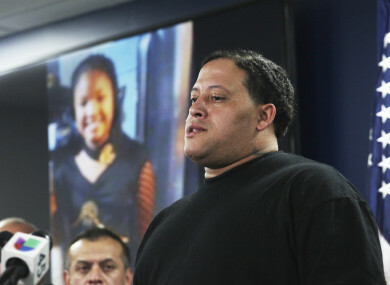 Christopher Cevilla, father of 7-year-old Jazmine Barnes. A MAN IN a pickup truck pulled up next to a car that was leaving a Walmart car park and started shooting, killing a 7-year-old girl inside the car and wounding the girl’s mother. Three other girls were in the car, but it wasn’t immediately clear if they also are related to the woman, who authorities say was shot in the arm. It wasn’t immediately clear what prompted the the morning shooting. An arrest hadn’t been made as of Sunday night. Sheriff’s Major Jesse Razo said the other girls who were inside the car when the shooting happened were “shaken” and “devastated”. “We’re going to use all resources available to bring this killer to justice,” Razo told reporters at the scene. Email “Girl (7) shot dead after gunman fires into car parked outside supermarket”. Feedback on “Girl (7) shot dead after gunman fires into car parked outside supermarket”.